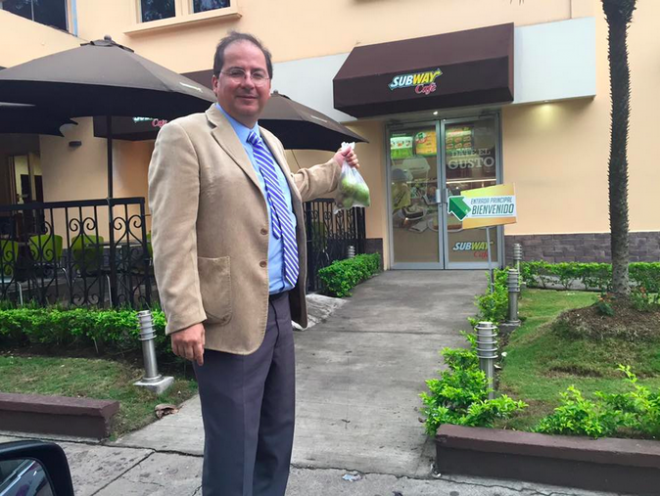 (QCOSTARICA) Either real or the perceived shortage of avocados (aguacates in Spanish) in the local market, Communications Minister, Mauricio Herrera, took the unusual step to buy some avocados from a street vendor and donate them to the Subway fast food chain store in San Pedro. 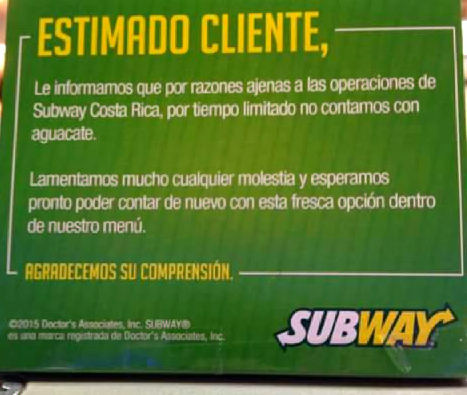 Herrera’s action was in response to the announcement by the restaurant chain informing customers about shortages of avocado affecting its menu options. 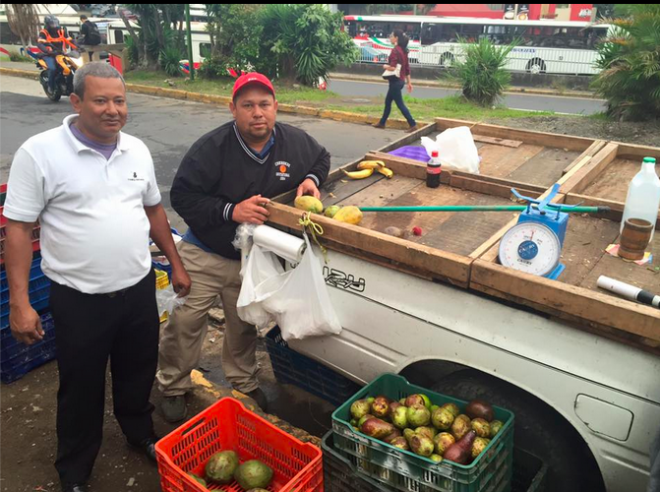 Important to not here that, Herrera, a minister of a government that promotes tax reform, bought the avocados from a street vendor, encouraging informal sales that do not pay taxes. The executive vice-president of the Costa Rican Chamber of Food Industry (Cámara Costarricense de Industria Alimentaria – Cacia), Mario Montero, said the Minister’s action is totally unprofessional and unethical, one that does not help the progress of negotiations and dialogue between the government and the productive sector who is concerned about the government’s decision to halt the import of avocados. Also not agreeing with Herrera’s decision, is Libertarian legislator, Otto Guevara, who called the minister’s action unacceptable and populist mockery. “This attitude is a contempt for the rights of the consumer to freely choose the product based on personal preferences, not the preferences of biased and outdated technocrats and politicians,” said Guevara. The government continues to insist there is no shortage of avocado. But, a poll of street vendors tells a different story, one that either a real shortage or a perceived one, has almost double the price of an aguacate. Although Minister Herrera was able to buy 3 for ¢1,000 colones, some street vendors are selling at ¢500 colones each, up from the average market price of ¢250 colones. The State Phytosanitary Service (Servicio Fitosanitario del Estado – SFE) several weeks ago took the decision to ban the import of avocados from Mexico, Australia, Spain, Ghana, Guatemala, Israel, South Africa, Venezuela and the State of Florida, in the United States. According to the SFE, the ban on imports responds to the need to prevent entry into the country of a virus called Avocado Sunblotch Viroid, an important disease affecting avocado trees. Costa Rica does not produce enough to meet the demand. Next articleQTOONS: A Commission To Solve The Avocado Crisis?